So, if you are one of those considering to build your own Android app, then you've come to the right place. In this tutorial, we will explain you how to create an app with PhoneGap. If building an Android app is your interest, you can follow this tutorial for your purpose. Next, install Android Software Development Kit (SDK) . 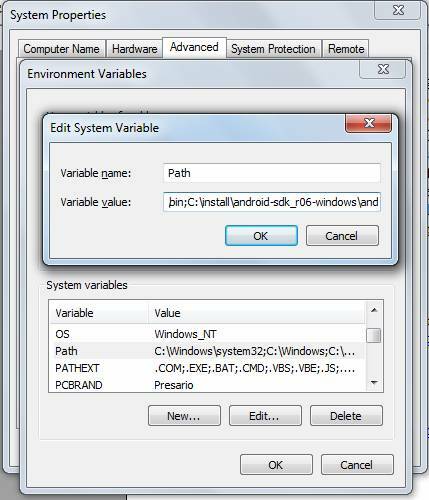 While installing the software, make sure you also set android-sdk-<os>/tools for your user and select the PATH variable. Next, install Eclipse by entering sudo yum install eclipse in the terminal. For those who have Ubuntu installed, run sudo apt-get install eclipse. You can also download Eclipse from its official website. After this, start installing ADT plugin for Eclipse. Android Development Tool (ADT) is a plugin which creates an environment for developing an Android application. It is also a nice resource to debug an Android application. You can install ADT by clicking on “install new software” from the Eclipse's window. Now, click on the Add button to add a repository. Here, you'll need to provide a name for your repository as per your choice, and also location by entering https://dl-ssl.google.com/android/eclipse/. After this, you'll be provided with a checklist containing Developer Tool Items select Next to view the list and items that need to be downloaded. After this, you'll need to accept the License Agreement to finish the process. Once you are done with installing the ADT plugin for Eclipse, navigate to Window –> Preferences –> Android and set the SDK path of the extracted SDK. After this, go to Window –> Android SDK and AVD Manager. Pick up the most suitable package category, and check all the available items for a complete installation. Click Install to complete the process. The downloading process will consume some time, so be patient and wait for completing the same. As of now we have created an environment for our application development, next it's time to create an HTML file and then start building our app using PhoneGap. For this, open any code editor and start entering the following HTML code into it. After this, save the file as index.html. Developing a project in Eclipse requires you to create an Android Virtual Device (AVD) , which provides you with the necessary support to test your app and then installing it on your phone. For this, go to Window (in the Eclipse), and then Android SDK and AVD Manager. Here, choose Virtual Devices, and then New. Here, you'll see a dialogue box wherein you need to provide some crucial details regarding your app including the name, platform, and so on. To finish this step, click on the Create AVD button. Next, for creating a new Eclipse project, go to File–> New–> Project. Select Android Project for Project Type and start providing the below mentioned details. Now, click on Finish to allow Eclipse prepare the necessary structure and files. After this, we have two have files which need some modifications. They are AndroidManifest.xml and App.java. Click right on AndroidManifest.xml and Open With–> Text Editor. Start searching for the following piece of code in the file. Once you are done locating the snippet, add the following lines of code below the same. Finally, open your index.html file and replace the setContentView() method with the following onCreate() method. With this you finish the process of creating you Android app. Now, you can run your app in the emulator with the help of AVD, which you have created earlier. Juana Steves is a technical writer associated with Xicom Ltd. – a trusted software development company. You can also get in touch with her to opt Android Developer for Hire, in case you are looking forward for the same.